When it comes to working with an agency to help optimize your SEO, there is a general set of questions that you should ask them before signing them on to your team. When finding and selecting your SEO agency, you should be as precise and diligent as you are when hiring a new team member. In fact, you should consider your SEO agency as an extension of your team. Once you have narrowed down the agencies you're thinking about, it's a great idea to bring them to your office to ask them specific questions around your needs. 1. How many hours of service are part of this agreement? What is your hourly rate? How many services are a part of the agreement? How many hours will be spent on each SEO-related activitity? How many hours are dedicated to reporting back on the campaign performance? If the agency provides a quote based on the estimated hours of work for the first few months, then the following months will be based on how your site is performing. 2. How often will you communicate updates with our team? How often can we expect reports? How long will it take to start seeing results? How would you measure success for our business? 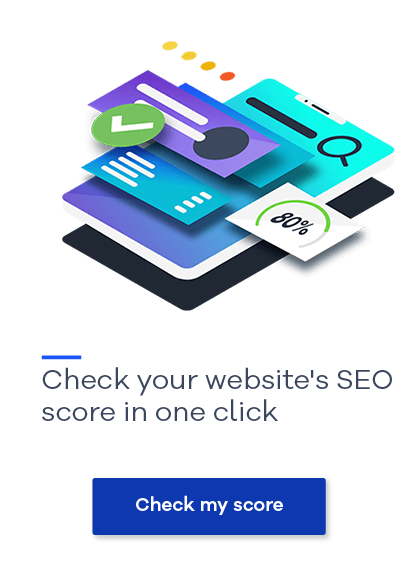 The agency should meet with you at least once a month (by phone or in person) to discuss your SEO performance and link it back to your key objectives. If the agency says that it only takes one to two weeks to see results, this is not the agency for you. SEO can take months, so an answer of "it depends on your business" is a smart reply. 3. What is your core approach to Search Engine Optimization? Do you focus on Content, Technical, or Link-Building? The agency may only focus on one area of SEO. If you have the resources to support the other areas of SEO, don't worry. But, if you're looking for an all-encompassing solution in an SEO agency, they should be able to speak to the three areas listed above. 4. Do you have three references that we can speak with? What is your experience working in our industry? If you don't have experience, how will you cater your approach to our industry? Do you/have you worked with any of our business' competition? Can we see case studies? If the agency doesn't have experience within your industry, ensure that they're taking your unique niche into consideration when developing a strategy. 5. What tools do you use? The agency might not reference the tools by name, but they should be able to discuss the activities that they are performing with each one. They should also be able to share what impact the tools will have on your results. 6. What is your approach to content optimization? Will you be rewriting our content? Will you create new copy? If the agency mentions working with what you have and inserting keywords where it's relevant, take caution: This can be (but isn't always) a sign of keyword stuffing. 7. Do you have the technical resources to implement audit findings? If not, who will be working on these updates? If the agency is outsourcing their technical help, you'll want to meet with that resource as well. 8. Can we meet with the team working on the account? How many years have they worked for the company? How often will their team be meeting internally? How much will those internal meetings be priced in our invoice? It's always important to meet the team that will be working on your account. Some agencies can bring strategists or people directly responsible for making the sale, and not always the people working on your account daily. Make sure you know if there are different pricing levels for expertise. Agencies can and do hand off "lower budget" clients to junior team members for price efficiency, so it's important to know if that's happening. 9. What would you need from us to get started? How much time will you need from our team? What data/access will you need from us? As this blog demonstrates, finding the right SEO agency isn't just a simple task you can easily check off. It requires research and thoughtful consideration from both parties as well as honesty. However, if you and your team take the time to ask the questions listed in this blog post, and follow the suggested tips, you'll be that much closer to finding your new SEO partner. Want to know how to find SEO success before the end of the year? Check out Roadmap to SEO Success for the rest of 2018.